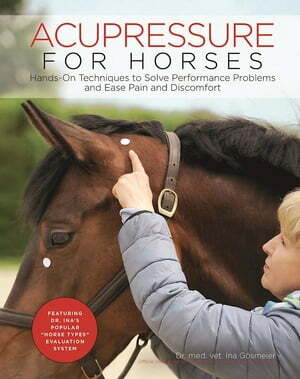 Collins Booksellers - Acupressure for Horses by Ina Gosmeier, 9781570768767. Buy this book online. Now you can help your horse with simple acupressure techniques! Learn to identify your horse’s individual body constitution type,” which determines your choice of acupressure treatment; understand the 12 main channels of energy in your horse’s body, and gain the ability to choose the correct points to treat specific issues. Relieve mild sources of pain and discomfort in your horse’s body, influence his mental health and stability, and select appropriate treatment from a comprehensive list of common problems and their solutions, with step-by-step instructions and full-color photographs to help you help your horse.